New to trading and looking for a mentor. I am new to trading and have started a live account after researching the subject for a few months. Having traded for a few weeks after my 6:00am-3:30pm job. I have made over $1000 profit. That was the good, now the not so good. I have mainly traded without caution to the wind at 1m options. I have now put my emotions in their place. Candlesticks are helping me paired with bollinger bands and a MACD on my fxstreet chart. When trading at 5m, a candlestick closes outside of the bands. I check the trend and place my put or call accordingly. This sounds ok to me but I feel that I am missing out on more meat of the subject. this is leading to lack of trading confidence. I do not know my win/loss ratio. I will be documenting this from now on. My goal is to learn as much as possible. I will be starting a family soon and will be the stay at home dad. I want this to replace my income. I can put a lot of time in as long as it doesn't keep me out of my current job. Also, I'd like to make the transition within two years time. Is this reasonable? I don't need to be a millionaire but rather make a livable income. Hopefully, the responses left here will help me and others reading this post. 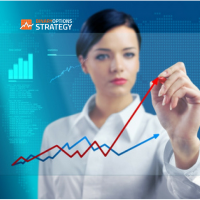 Blue Sky Binary is a prominent structured education provider with a range of courses and tailored trading tools designed to give you state-of-the-art techniques in generating profit in Binary Options and now FX as well. You can find out more at www.blueskybinary.com and our Academy. We offer a 7-day-free trial where you can test us out to see if we are right for you. I think a long time will go before you can withdraw some funds from your account, because of your "rokie mistake". NO, they won't. The bonus is a total scam to prevent you from making money or doing any withdrawals. If you take a bonus and then dispute it all profits will be taken from you and you will be stuck with any losses you incurred which means your deposit will be smaller for sure or totally erased at worst. In most terms & conditions it says, that no analyst or account manager or affiliate can draw back any gift or bonus given to a traders account..
That kind of psycology dosent work with you and me now, but it did work with me a couple of years ago, like it does with many newcommers today. How many newcommers do you think will read the total Terms & Conditions, and understand them...BEFORE you invest ? Yeah most people never read the T & C. But regardless, it's really bad that brokers even make up such horrible terms in the first place. how they will behave towards clients in general. You won't be able to find a mentor who will help you for nothing. No one will deal with you for free because learning takes quite a lot of time. You can not trust any one on the Currency Markets, You can choose a person to help you out from your problems but never share your confidential data with him as it can be a scam. So, never play a blind move at any cost. Stay Safe! and Best of luck! Sometimes you need to consult the experienced traders when you feel confused. A mentor can help you in a much better way in these kind of situations. I hope you will find a best one here and you can also contact me any time when you feel something unsatisfactory. A mentor is really important in trading currencies as you have to take some help from experienced campaigners. This is the beauty of this forum that you can find a good mentor here. I assure you that I will help you and you can ask any question to me at any time. Thanks! Well, we don't give signals here per se but you can probably find someone to help you. What kind of trading are your doing, what's your strategy, I can provide some pointers if you'd like. Many people ask me that whether you need a mentor or helper while trading. I always answer yes, as you need to sort out the issues related to the trading by consulting an experienced person. There is no other way folks! as far as I think, what do you think? There are various platform that allows the people to interect with the experienced person, and a lot of forum discussion where newbies can interact with the expert and experieced traders, there may be some Youtube channels that can teach you this all you have to do is a little research, try to read the stuff and learn in yourself. All things considered, in the event that even the versatile terminal works properly, I may likewise open a record here, I won't store any extensive aggregates immediately obviously, perhaps $100 first off, and afterward we'll see. You are much better than many other people who try to do things on your own. You have done the first right step to consult experienced traders for getting the inner truth about the market. It is right thing to ask for any confusion from experienced person as comapred to getting a conclusion on your own.